In The Story of Christianity, Vol. 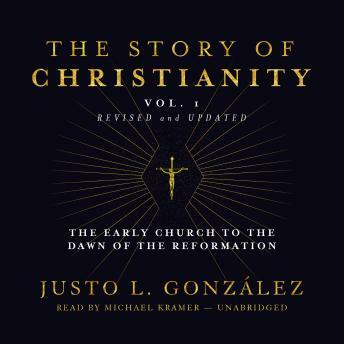 1, Justo L. González, author of the highly praised three-volume History of Christian Thought, presents a narrative history of Christianity, from the early church to the dawn of the Protestant reformation. From Jesus' faithful apostles to the early reformist John Wycliffe, González skillfully traces core theological issues and developments within the various traditions of the church, including major events outside of Europe, such as the Spanish and Portuguese conquest of the New World. This updated and expanded edition incorporates recent archaeological discoveries about the life of early Christian communities, as well as important contemporary research revealing the significant role of women throughout the history of the church. With lively storytelling, The Story of Christianity provides a fascinating and panoramic history of the dramatic events, colorful characters, and revolutionary ideas that shaped the first fifteen centuries of the church.